The Armenian National Committee of America (ANCA) Thursday reaffirmed its principled opposition to the “Madrid Principles,” a deeply flawed and recklessly asymmetrical proposal advanced by the OSCE Minsk Group regarding Artsakh’s status and security. Its statement, stated by Asbarez is provided below. The ANCA supports the OSCE Minsk Group negotiations as a constructive platform for continued talks but rejects its current proposal (known as the “Madrid Principles”) as a deeply flawed and ultimately counter-productive plan that sets back the cause of peace and raises the risks of renewed war. · The Madrid Principles are profoundly asymmetrical, demanding upfront, strategic, and irrevocable concessions of land and security from Artsakh in return for only vague, deferred, and reversible promises regarding status from Azerbaijan. · The phasing of the Madrid Principles front-loads all the risk on Artsakh and all the rewards on Azerbaijan. This flawed formula will not lead to peace, but, rather, sets the stage for continued conflict and regional instability. 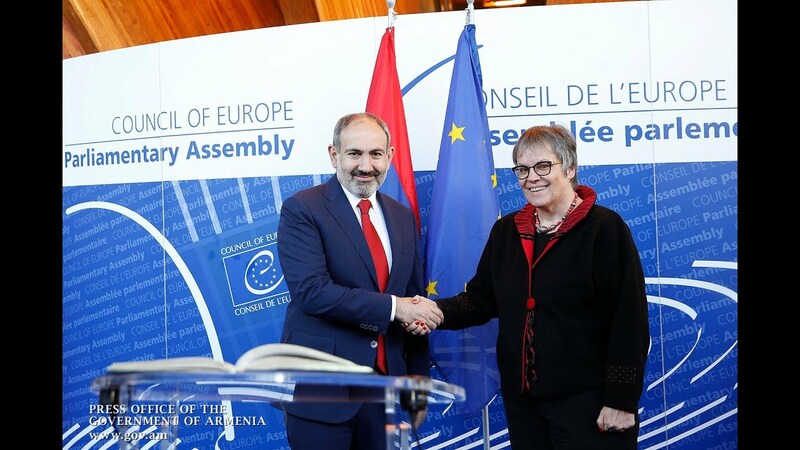 · The Madrid Principles would force Artsakh, a predominantly Christian nation, under a violent Azerbaijani regime that has recruited extremists (including Afghanistan Mujahideen and ISIS militants from Syria) to fight its anti-Armenian war. · Azerbaijan has, over the past 25-years, consistently violated its obligations under its 1994 tripartite cease-fire agreement with Armenia and Artsakh, calling into serious question whether its current or future leadership would, in actual practice, respect Baku’s commitments under a Madrid Principles-based peace plan. · The Madrid Principles run counter to our core American belief in democratic self-determination. A democratic and durable settlement should be based on the right of free citizens to live under a government of their own choosing. · The Madrid Principles do not address or even acknowledge Azerbaijan’s occupation of Ardzvashen (Republic of Armenia) and parts or all of Shahumyan, Martakert, and Martuni (Republic of Artsakh). · Artsakh surrendering vast areas of its sovereign territory will somehow make Artsakh more secure or Azerbaijan less aggressive. · Artsakh making upfront strategic land concessions will be followed by Azerbaijan forfeiting its claim of sovereignty over Artsakh. · International peace-keepers deployed around Artsakh would actually prevent or even discourage renewed Azerbaijani attacks. 3. Join with Armenia in demanding the full restoration of the Republic of Artsakh’s participation in all peace talks, negotiations, and decision-making regarding its future.